A modern design, beside of being charming, amazing, emotional and innovative, must generate some thing functional and accessible. 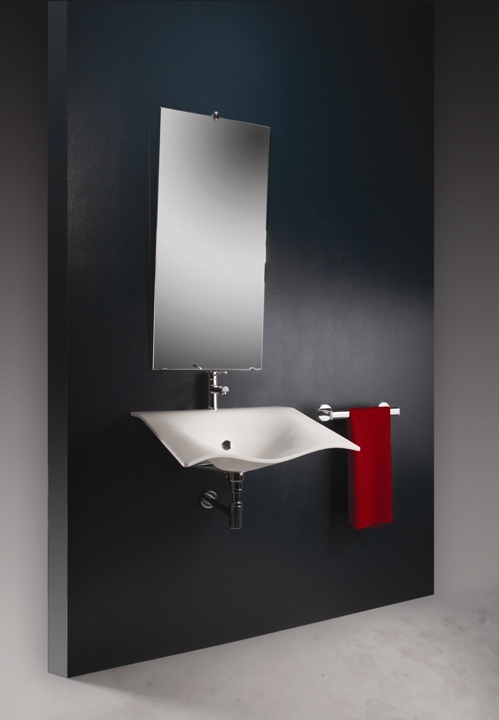 Flight is a technical sink with all these characteristics, unique of its kind, which has lined new horizons of projecting in the sanitary field. A sink for everyone. 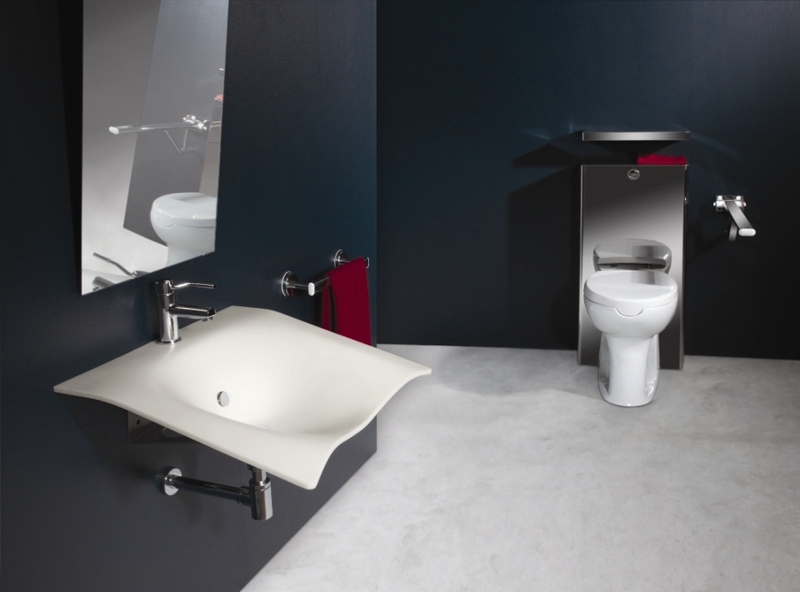 The contemporary design responds to the needs of respect of the right to equity, gradual aging of the population and economic saving, thus avoiding the creation of restrooms specifically dedicated to disable people. Flight is conceived for those who suffer of temporary or permanent motion problems, for ordinary users, for children. 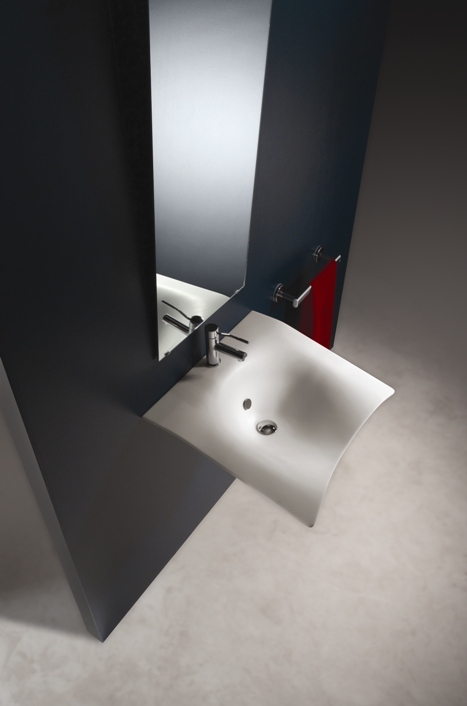 Made of one molded piece of Corian®, which expresses levity and transparency, Flight represents a light in the field of restrooms for disables, which is instead often characterized by an orthopedic and forcefully technical look. Flight, with its soft and sinuous lines, overcomes, as in a flight, the esthetical barriers that are fruit of frequently misinterpreted norms. Flight is a sink equipped with unique technical properties that make the using maneuvers easy and simple also to people with moving difficulties. The thin single piece, that gives more space to the knees, the fixed inclination of the plane and the concave front edge with elbows supports, consent to avoid pneumatic mechanisms of regulation, thus allowing the coming closer and an easier use to everyone. Ergonomics, safety, functionality and accessibility are the guidelines of Flight. 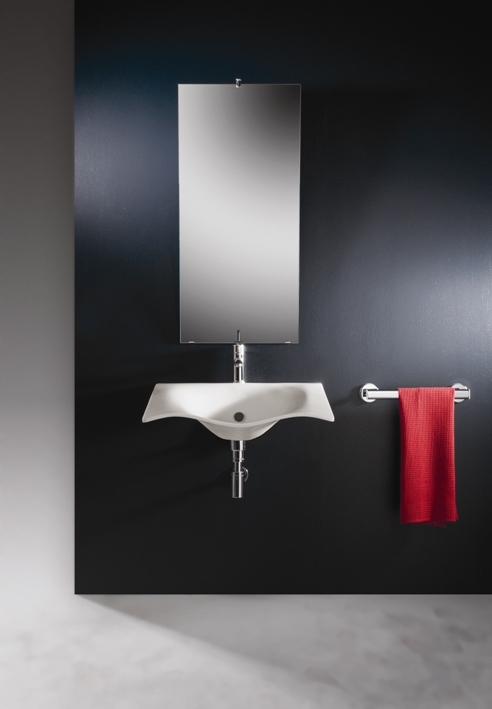 Universal sink, made of one molded piece of white or translucent Corian® 12 mm thick, equipped with elbows standing plane inclined of 11° and concave front edge to make easier the coming closer and the rotation maneuvers on the wheelchair. It is delivered pre-assembled, equipped with overflow prevention device made of chromed brass and fixing stirrup made of zinced and painted steel with 4 points of wall anchorage. Total weight 12 kg. Resistance to charge 150 kg. 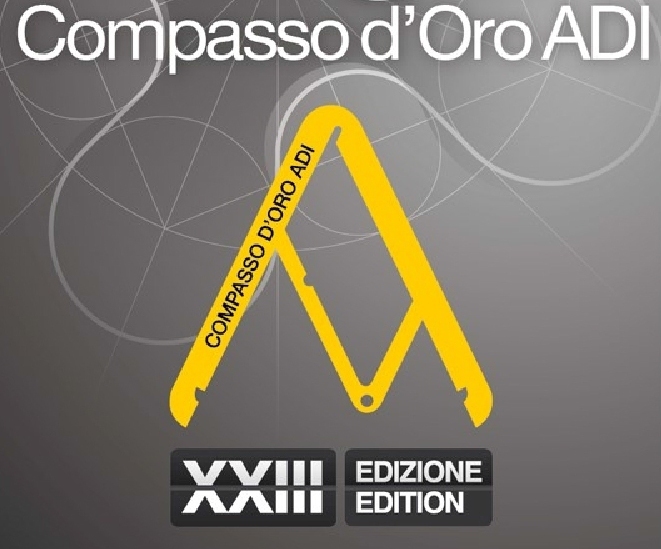 and in 2014, "Flight" has been now selected as participant to the XXIII Edition of Premio Compasso d’Oro.